They say you get what you pay for – but maybe it just feels like you do. 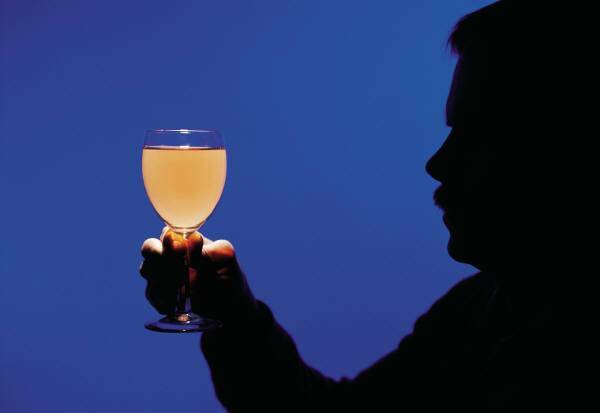 Researchers from the California Institute of Technology and Stanford’s business school have found a link between the sensation of pleasantness that people experience when tasting wine – and its price. According to a report on CNETnews.com, the researchers found that with the higher priced wines, more blood and oxygen is sent to a part of the brain called the medial orbitofrontal cortex – a part of the brain whose activity reflects pleasure. Brain scanning using a method called functional magnetic resonance imaging (FMRI) showed evidence for the researchers’ hypothesis that “changes in the price of a product can influence neural computations associated with experienced pleasantness,” they said, according to the report. In fact, the researchers found that people ranked taste of a $45 wine higher than the same wine priced at $5, and the same for a different wine marked $90 and $10 (this is ostensibly evidenced by the data in the chart to the right – but you couldn’t prove it by me). Of course, that has some interesting opportunities for marketing campaigns. “Contrary to the basic assumptions of economics, several studies have provided behavioral evidence that marketing actions can successfully affect experienced pleasantness by manipulating nonintrinsic attributes of goods.’ Said another way, there are ways to enhance your perceptions of the quality of a product – that have nothing to do with the quality of the product. “…knowledge of a beer’s ingredients and brand can affect reported taste quality, and the reported enjoyment of a film is influenced by expectations about its quality,” the researchers said. The study, by Hilke Plassmann, John O’Doherty, Baba Shiv, and Antonio Rangel, was published last week in the Proceedings of the National Academy of Sciences.